Another day, another rumored Yeezy release. While much of the focus remains on what Kanye wore on his date with Kim Kardashian for Valentine’s Day with the introduction of white Yeezy Runner, today we’re hearing rumors that this monochromatic adidas Yeezy Boost 350 V2 Dark Green will be releasing this Summer 2017 season. 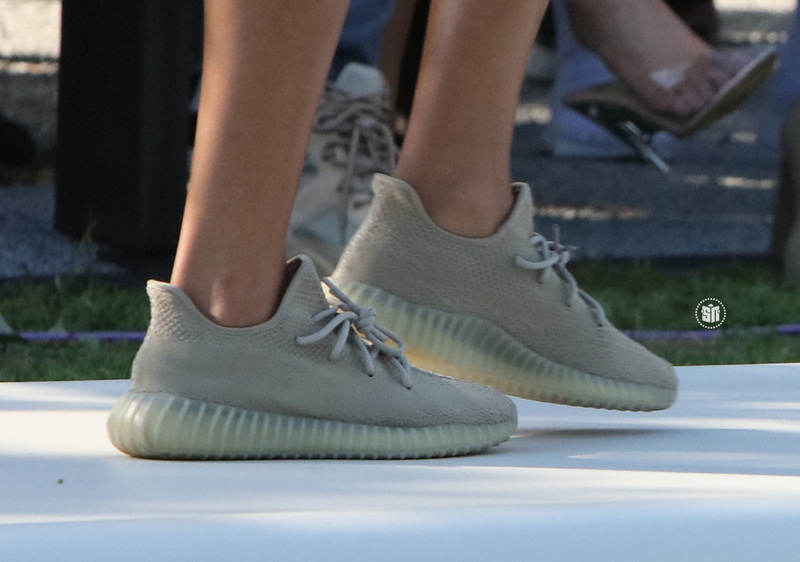 The above images were taken at Kanye’s Yeezy Season 4 show a few months back and from what we can tell, this adidas Yeezy Boost 350 colorway will be the simplest Yeezy Boost look yet. A lot of that has to do with the updated Primeknit throughout matching in a dark olive green while that side panel stripe is still evident through a differentiation in the woven pattern. 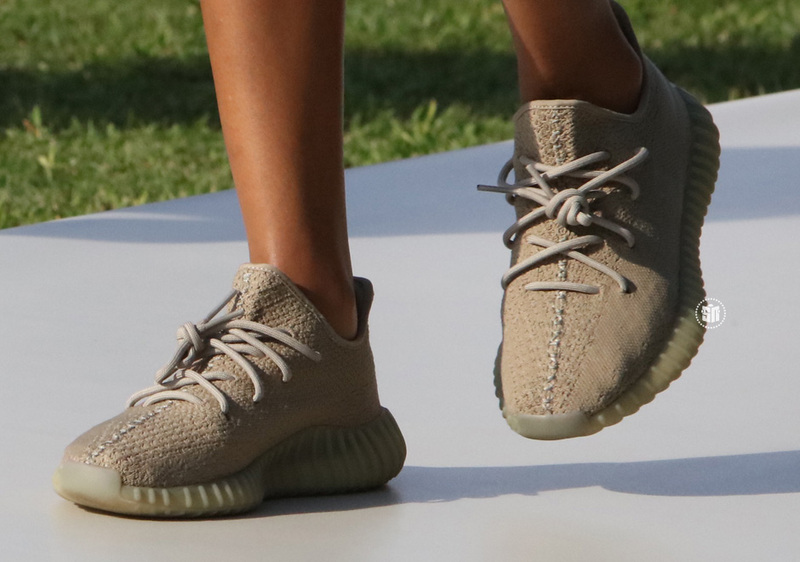 That ‘SPLY 350’ branding is completely gone though, and unlike the most recent Yeezy Boost 350 offering, the heel tab is missing in action too. 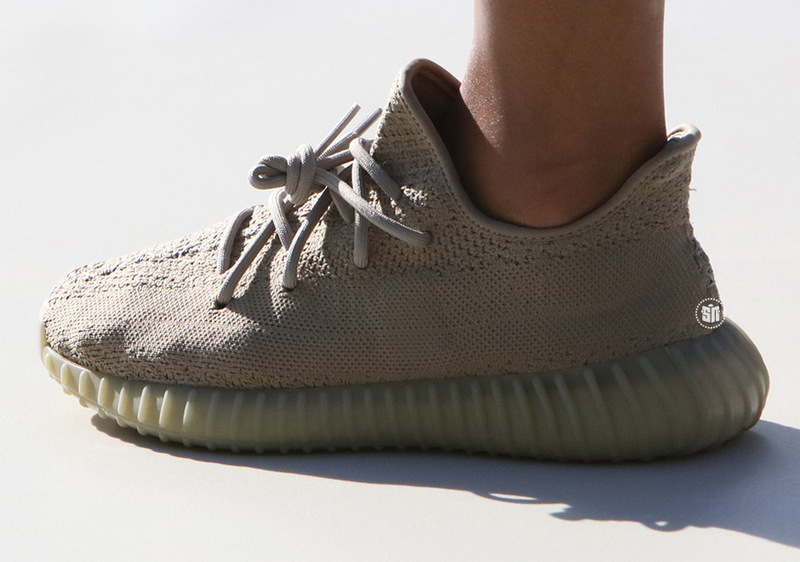 What do you think of this rumored Yeezy Boost release? Check out more detailed shots below and stay tuned for more Release Date updates right here on Sneaker News.